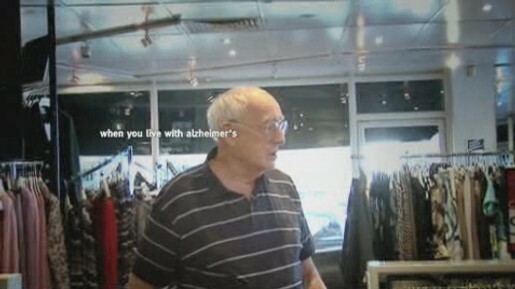 Alzheimers New Zealand is preparing the country for World Alzheimers Day, 22 September, with a light hearted television advertising campaign portraying the effects of the condition on those who suffer. A series of Candid Camera style advertisements shows everyday people who believe their minds are playing tricks on them. Imagine what it’s like to forget how to do what you’ve always done and known. To have your mind playing tricks on you every day. Imagine not remembering where you parked your car, or worse still, not remembering who your wife or husband is. A man takes a break from his meal to pay a visit to the rest room. While he’s away from the table, his female partner swaps places with an older woman. A woman parks her car while she posts an envelope. While she’s not looking, a team of pranksters moves her car and makes room for another vehicle to take its place. A man is stunned to discover that his wife has disappeared while in the shop’s changing rooms. The Alzheimers Tricks campaign wa developed at Colenso BBDO, Auckland, by executive creative director Nick Worthington, art directors/copywriters Lisa Fedyszyn and Jonathan McMahon, account director Gemma Findlay and agency producer Jen Storey. Filming was shot by director Dave Klaiber via Plaza Films, Sydney, with producer Susannah DiLallo.